Chance Taylor joined Lee & Associates – Atlanta in January 2018 as part of the Office Leasing and Sales Team. 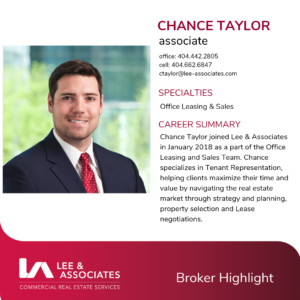 Chance specializes in Tenant Representation, helping clients maximize their time and value by navigating the real estate market through strategy and planning, property selection and Lease negotiations. To view Chance’s listings, click HERE. 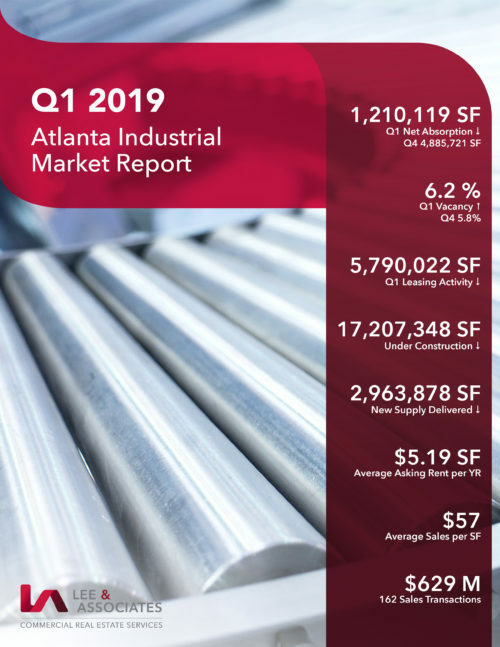 Click HERE to read our full Q1 2019 Industrial Market Report.